Man arrested after physical altercation with a juvenile at basketball courts in Vero Beach. 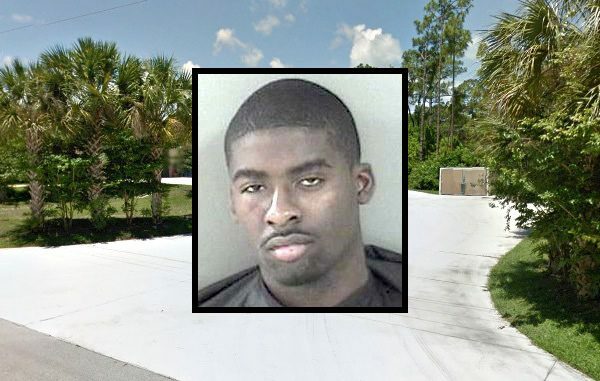 VERO BEACH – A 22-year-old man was arrested in Vero Beach after a physical altercation with a 15-year-old victim, and for trying to gouge the eye out of a sheriff’s deputy. Jontavius King was in a fight with a juvenile at the basketball courts of the South County Park. Witnesses told the Indian River County Sheriff’s Office that King struck the victim several times before their arrival. King attempted to flee on a bicycle once a deputy arrived. During a struggle, the deputy received an injury to his left eye, according to the report. The deputy was transported to the Indian River Medical Center for treatment. King was arrested and transported to the Indian River County Jail where he was charged with battery, felony aggravated battery on a law enforcement officer, and felony resisting arrest with violence.